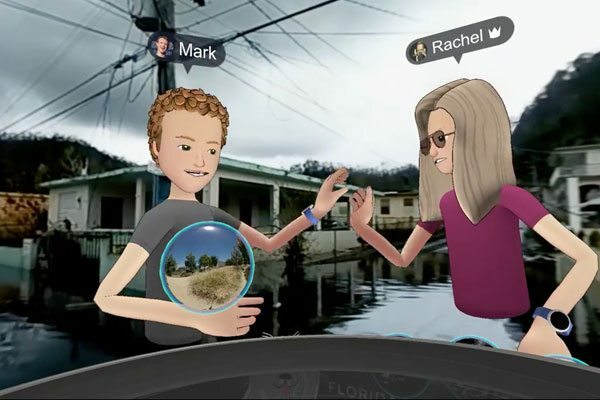 The judgement, or lack thereof, exhibited by Mark Zuckerberg in posting a virtual reality stream involving a 3-D version of himself and colleague Rachel Franklin touring a hurricane-ravaged Puerto Rico to promote a new Facebook app gets to one problem that we have with his version of unaccountable billionaire philanthropy. That is, they do not quite seem to connect to the world in which most of us live. Zuckerberg’s version of philanthropy, as NPQ readers will recall, has the Chan Zuckerberg Initiative operating through an LLC with no transparency other than what he chooses to provide. This is, of course, in return for rejecting tax-exempt status, but it also means that he will be deploying massive amounts of money in the social sphere with little accountability. The promotion in question showed 3-D cartoons of Zuckerberg and Franklin, from Facebook’s virtual reality team, discussing their “amazing” new app while news footage of a devastated and flooded Puerto Rico rolled in the background. “You can see that we can really feel like we’re here,” said Franklin. “This street is really flooded,” added Mark. The 3-D version of Zuckerberg was clearly not very familiar with the disaster, since he did not refer to Hurricane Maria by name and seemed unsure of his topic when he was discussing the storm-ravaged island where much of the infrastructure was destroyed, along with many homes, and where 34 people were killed. On the other hand, he was far more conversant with the app. But one of the perks of being a billionaire is that it is hard to toss them out of the room. Generally, a humble apology will do the trick, even if you do not actually reform your ways. Bill Gates has proven this any number of times in his annual letter, as has Zuckerberg himself when he assumed he knew best about the reform of Newark’s public schools.